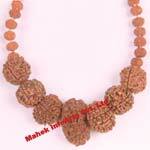 Rudraksh Beads in Pendant : 1 beads of 13 mukhi and 2 beads of 6 mukhi . 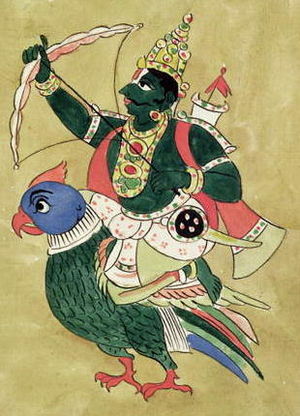 Description : Kama is the Hindu god of love or desire and is also believed to be capable of inducing lusty desires. 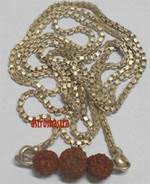 Thirteen Mukhi Rudraksha (Symbolism of Lord Kaamdev ) surrounded by two six mukhi Rudraksh, ( Control our genital organs) helps in removing all sexual disorders. Wearer is able to enjoy all the earthly pleasures and comforts at his disposal. This Pendant has immense power. It is often used to increase attractiveness and have hypnotic influences on others, who are smitten with your charms. 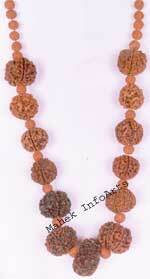 It also helps attain a sound mind and body and enjoy the various luxuries of life. 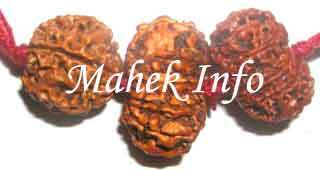 Whereas six mukhi Rudraksha present in the Pendant governs genital organs, throat, valour, sexual pleasure, love, music etc. It helps you fulfill all your dreams in love and lead a very sucessfull life. It makes you attractive, people look at you , they get attracted towards you. It is recommended for every couple. 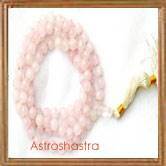 Astroshastra would send you the pendant energzied in your name for maximum benefits. You can mail us the name of the person, if want to get it energzied in any other name at sales@astroshastra.com .